The Rice Box has an embedded element in the lid that creates heat to minimise condensation and maximise the moist, fluffy finish. 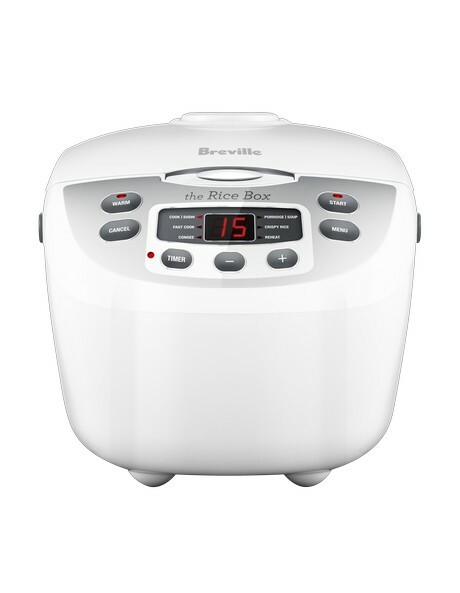 It also features a programmable timer so that you can have the rice ready precisely when you want it. It senses when rice is cooked and switches to the 'keep warm' setting to ensure rice doesn't get burnt or gluggy. You can also make other rice dishes including congee, crispy rice and sushi. Now you can cook authentic rice, no matter what the variety.